I have a new mini Christmas stocking pattern to share here at My Recycled Bags. This stocking is crocheted all in the back loop only or BLO as the commonly known abbreviation in the crocheting world. The pattern can be worked in worst weight yarns for a 6 inch long stocking from top to toe. Or if you use an Aran or light weight yarn, the stockings measure about 5.5 inches long using a G (4 mm) crochet hook. I have shared a few photos here of the basic pattern, but feel free to crochet this pattern in stripes, work the first few rounds of the toe in a different color or even make a scrap yarn stocking by crocheting a mash of colors. 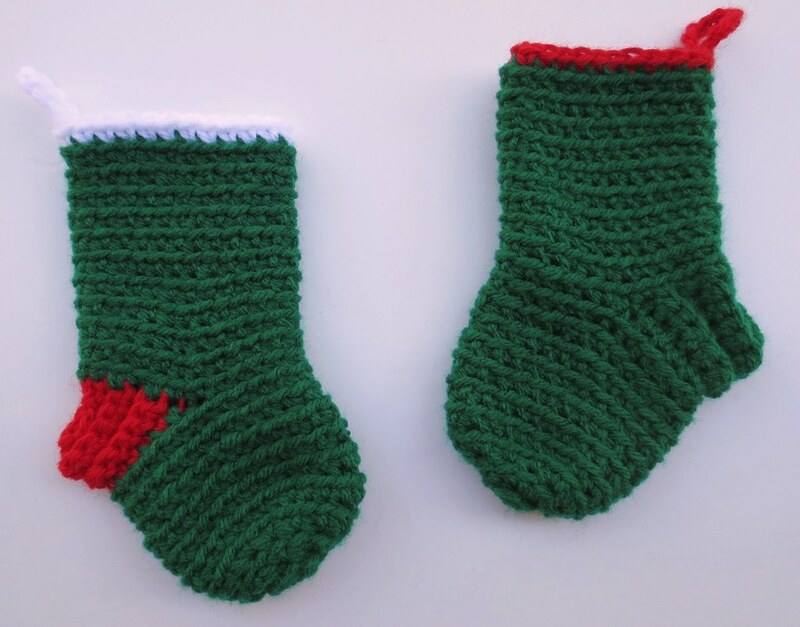 As always, here is the free BLO mini Christmas stocking pattern for your crocheting pleasure. This stocking should be crocheted in the back loop only (BLO) unless otherwise directed.